Emergency Preparedness involves everyone in St. Francois Xavier – citizens, families, first responders, municipal government, community groups, the provincial government, and community organizations. Everyone has a role to play before, during, and after an emergency. The Emergency Management Team is responsibility for overall emergency preparedness activities including training, education, disaster exercises, providing public information, response & mitigation to an emergency incident. An important component of emergency preparedness is to provide training to volunteers and conduct disaster exercises to test our Emergency Plan and the Emergency Operations Centre. If a major emergency occurs in St. Francois Xavier, our team is dedicated to providing residents with the best Emergency Management system available. Our Emergency Preparedness program is based on a team approach. Our approach is to bring community partners together so we make use of all available resources and make decisions that respond to the most important priorities. For more information on St. Francois Xavier Emergency Preparedness Program, volunteering or being a part of the Emergency Management Team please contact Liz Pasieczka, Municipal Emergency Coordinator at mec@rm-st.francois.mb.ca or 204-792-0644. 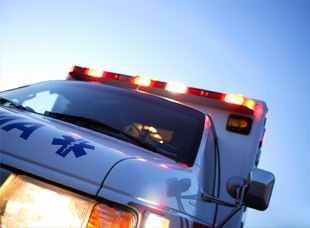 For all Police, Fire, Ambulance or Poison Treatment Emergencies, please call 911. Pocket Guide to Emergencies. Click here. Floods and What to Do. Click here. After the Flood. Click here.